Ibogaine Treatment Centers – Your Miracle Cure For Addiction, Depression & Substance Dependency? What is ibogaine? Ibogaine is a compound extracted from the bark of the Tabernanthe iboga shrub – a native West African plant. This active alkaloid is being used to effectively develop the spiritual element of the human mind. In medicine, ibogaine hydrochloride is mainly used as an addictive suppressant. People who take excessive alcohol, heroin, cocaine and other harmful substances often use ibogaine to get rid of their addiction to these substances. How Does Ibogaine Work on the Human Body? Ibogaine helps relieve the adverse side effects of opiate addiction to the human body. The opiate receptor sites are completely refreshed after the patient is administered with a dose of the ibogaine drug which accelerates the opiate detoxification process in the human body. Once the detoxification process is complete and the brain’s neuron chemistry is reset, ibogaine intake can be discontinued. The most important quality of ibogaine is that it is non-addictive in nature contrary to popular de-addiction drugs such as methadone which are highly addictive. They compel the patient to continue taking methadone despite having full recovered from addiction. When the patient consumes ibogaine, the liver converts it into nor-ibogaine. Nor-ibogaine is stored in the fat cells of the body. It acts as a repellent to negative thoughts and substance-related cravings. This quick-acting drug is capable of displaying miraculous results in as fast as 72 hours after intake. The subject is then in a state of well-being, free from substance cravings and in sync with positive thoughts. Ibogaine hydrochloride is known to work best for patients suffering from sexual and stimulant addiction issues. The ibogaine drug alters the levels of endorphins, dopamine, adrenaline, and other relevant brain chemicals, thereby compelling them to reach their pre-addiction state. Re-balancing the brain chemistry may take several weeks or even months depending on the severity of the addiction problem. It’s important to note that patients suffering from anti-depressants addiction take longer to heal compared to roadside drug addiction. Apparently, the mental and physical dependency of pharmaceutical drugs is far greater than the dependency produced by street drugs. It is suggested by medical practitioners that the patient incorporates regular physical exercises in his daily routine along with taking the cure from the iboga plant to speed up the recovery process. Below is the usual stages a person undergoes during their ibogaine experience. 1) The Initial Stage (Few Hours After Consuming Ibogaine) – This is also termed as the awakened dreamy state, wherein the patient is able to relate to both the subconscious as well as the conscious states of the human mind. In this mental state, the patient is able to find the root cause behind the addiction which could be a traumatic experience or a nagging ailment. This allows the patient to realize the cause, the effect, and the solution to his current state. Ironically, normal medical processes may take months to ascertain the root cause behind the patient’s addiction. 2) The Secondary Stage (24 to 48 Hours After Consuming Ibogaine) – After the first 24 hours of consuming the essence of the iboga plant, the patient goes into an introspective state. During this state, ibogaine reassigns energy from one portion of the patient’s body to another. This causes severe depression, lack of focus, and excessive weakness. The negative thoughts that come during this phase may seem traumatic to some. In reality, this occurrence is a blessing in disguise. The moment a negative thought occurs, it leaves the body and disappears forever. During this phase, practitioners at ibogaine treatment centers are always there to help. They talk to the patient, make him feel comfortable, and give him necessary medication to suppress their anxiety levels when needed. This is the most important recovery phase as it removes negative energy from the patient’s body. 3) The Last Stage (2-3 WeeksAfter Consuming Ibogaine) – By now, the miracle suppressant from the ibogaine plant has removed all traces of negativity and has instilled positive energy in the patient thereby compelling him to follow a healthy lifestyle that includes a healthy diet and regular exercise sessions. 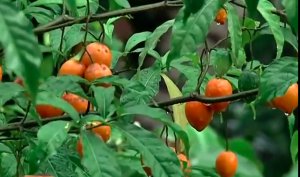 In Western African Countries where the Tabernanthe iboga plant is abundant, ibogaine is primarily used for healing the mind, the body and the soul. The ibogaine plant is also used for helping a soul reach the next dimension after the demise of the physical body. In western countries, this plant is mainly used for treating patients suffering from substance abuse that includes sexual addiction.